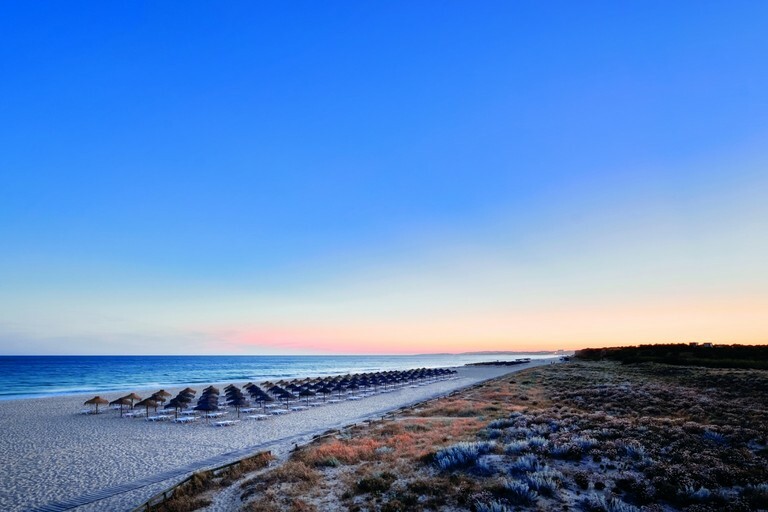 Three kilometres of golden sands lay directly before Vilamoura. To the west of the Marina entrance, the much photographed Falésia beach with the stunning beauty of its colourful sandstone cliffs stretches into the distance. To the east, in front of the main hotel group, the sands hum with activity. In 2004 Praia da Rocha Baixinha was certified with the Quality Management System according to the ISO 9001 standard. The Vilamoura Beach was granted these same certifications in November 2009. This certification demonstrates our commitment with the process in continually improving the services rendered in achieving the satisfaction of the clients that use this beach. When not simply soaking up the sun, you can swim, windsurf, waterski, para-sail, jet-ski, scuba dive or snorkel, rent a paddleboat, or simply enjoy leisurely walks along the the waters edge. The beaches are pollution free and blue-flagged. An assortment of beach restaurants and bars make dining and socialising on the beach a pleasure for all.